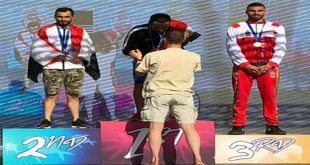 Damascus, SANA-Sports General Federation held on Monday a reception at al-Jalaa Sports city in Damascus on the 48th anniversary of the Sports Day in Syria. 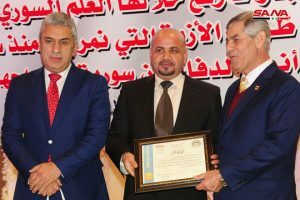 The event witnessed honoring a number of elites of Syrian sport who have achieved advanced places at international championships. 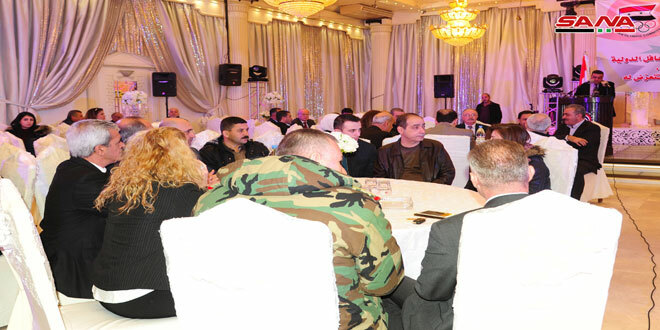 During the reception, a documentary film was screened about the distinguished results achieved by the Syrian sport during 2018 and the medial which were realized in different international games. Muafak Jomaa, Head of the Sports General Federation told SANA that the process of sport achievements have continued during the last years in spite of the difficult conditions the country has encountered.